Various surveys suggest close to 80% of the Indian population as protein deficient. As per the study conducted by the research firm IMRB, Delhi is the fifth most deficient state when it comes to lack of protein among Indian population. Lucknow ranks first with around 90% of its population lagging behind in nutritional protein intake. Ahmedabad and Chennai come right after Lucknow with 84% of their respective populations falling short on dietary protein. Indian diet has traditionally been the one chiefly dominated by whole grains, "while close to 50-60% of our daily calories should be sourced from carbohydrates, an average Indian ends up coming way more than that. 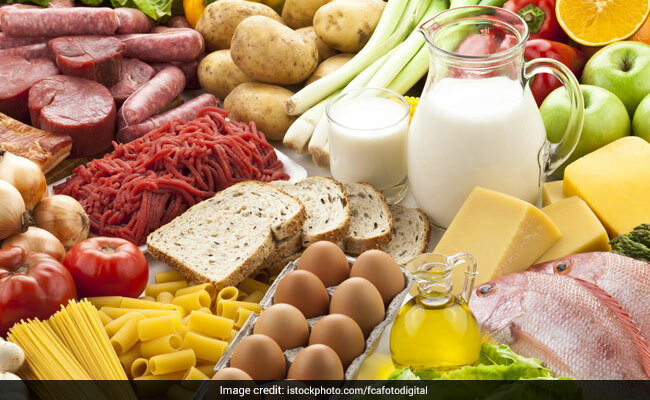 Extra carbs and excess consumption of sugar, saturated fats and processed items eat up the space reserved for protein, therefore most people around easily fall prey to protein deficiency," notes Dr. Rupali Datta, Consultant Nutritionist, Fortis Escorts, New Delhi. "Ideally 15-20% of your calories must be sourced from protein-rich foods; you don't really need to go overboard with the food group. Just a small helping of a protein-rich item in every meal will keep your daily nutritional requirement covered," shared Dr. Ritika Sammadar, Chief Nutritionist, Max Super Specialty Hospital, Saket, New Delhi. "The fulfillment of protein requirements is important for adolescent boys and girls, because it is the transitional phase of life from childhood to adulthood, and rapid increase in height and weight, psychological and sexual maturity with cognitive development are observed among them. Today, protein consumption is limited to home. Also, with changing lifestyles there are more snacking occasions in a day with most options being high in fat and sugar but low in protein," food giant Danone India's Managing Director, Rodrigo Lima told IANS. Various surveys suggest close to 80% of the Indian population as protein deficient. Consult your medical expert to get tested for protein deficiency and understand various dietary tweaks that can help you maintain healthy protein levels. One thing that one must always keep in mind is pairing protein-rich items - while animal protein can easily be teamed with plant-based protein items - for example lentils can be paired with chicken - avoid teaming two plant-based protein items together and the same logic works for pairing two non-vegetarian sources of protein as well.